is a large scientific research center. Significant scientific ideas are developed here; new technological principles are discovered; new devices are invented and constructed. Alfa-Tranzit products are used in education process at aircraft engines department. SAMSUNG. There is R&D Center, one of its departments (Rotordynamics Lab) works on rotordynamics problems and use Alfa-Transit in its activity. INA-Schaeffler KG World-wide leader in production of rolling bearings and plain bearings, linear guides, engine components, precision products for aerospace, machine-building, textile industries and others. SALUT is one of the largest Russian enterprises specializing in manufacturing, repair and maintenance of aircraft gas-turbine engines. MMPP Salut uses Dynamics R3.1 for modeling rotor dynamic behavior of their engines. Design, production, maintenance and overhaul of civil and military aircraft gas-turbine engines; engines for unmanned vehicles and helicopters; gas-turbine marine engines; industrial gas-turbine engines for power generation and gas-pumping; research and development. NPO-Saturn uses Alfa-Tranzit software for modeling rotor dynamic behavior of their engines. The KIMM has played R & D leading roles in Machinery & Materials areas and, through its continuous development, a new Governmental-Funded Research Institute has been established in March 1st, 2002 belonging to the Board of Directors for Industrial Science & Technology under the Ministry of Science & Technology. DOOSAN. Since its establishment in 1962, Doosan Heavy Industries & Construction Co., Ltd. has been playing a major role in the development of Korea's national economy by supplying industrial facilities to domestic and overseas markets. Magellan Aerospace Corporation. Magellan Repair, Overhaul & Industrial (formerly Orenda), a business unit of Magellan Aerospace Corporation, has been advancing power and propulsion technologies for over 50 years. A pioneer in the production and support of complex welded fabricated components, powerplants and industrial gas turbine packages, Magellan, recognized as one of the leading Canadian aerospace facilities today, is capable of serving the world through the following business units. "Zorya" - "Mashproekt". About 3000 gas turbine engines of gas turbine complex "Zorya" - "Mashproekt" with total power of~ 24 million kW, have accumulated more than 30 million hours on sites. More than 70 types of high efficient gas turbine propulsion plants for Navy, merchant and passenger ships are in operation in 20 countries of the world. More than 600 engines supplied by "Zorya" - "Mashproekt" are in commercial operation at compressor stations of linear gas pipelines. Aviadvigatel OJSC. 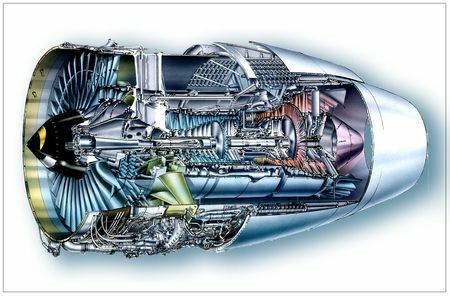 Developer of aero-engines for modern Il-96, Tu-204, Tu-214, Il-76MF and other aircrafts, high-efficiency gas turbine units for power industry and gas pumping. It also develops gas turbine electric power stations. AESTC «Soyuz». In the field of aeronautical engineering AESTC «Soyuz» is working on two main areas: advanced engines for combat aircraft complexes and upgrading and refurbishment engines for subsonic cruise missiles. In the field of power engineering industries AESTC «Soyuz» develops a wide range of gas turbine in small and medium power range.